The first album from the Focus Group, a psyched out patchwork of collaged samples. Evoking the school music room, dusty archives and hidden rural rituals. Oddly assembled sampledelic collages, stitched together from fragments of old library cues and forgotten soundtracks. A beautiful, unhinged stream of consciousness that seems to prod at buried memories. House is a scholar of library music, film soundtracks (especially Italian), early electronic music, the sort of arcana Trunk exhumes for our delectation, and so forth. The imprint of these sources is discernible in Ghost Box, but there’s something uncanny and oneiric that comes through that takes it well beyond mere esoterrorism and "record collection pop"; this is a genuinely spectral sampladelia. The Focus Group - Verberations exp. The Focus Group - Verberation int. The Focus Group - What are you seeing? 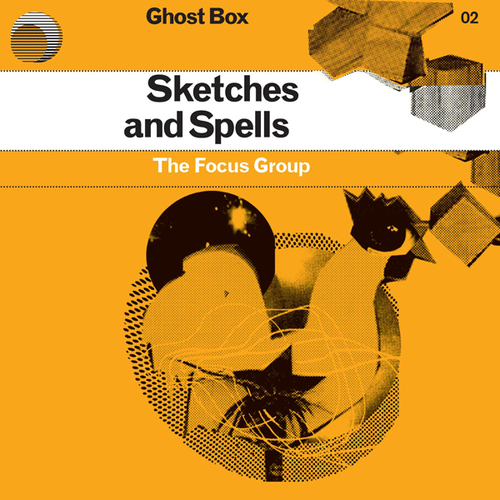 Unfortunately at this time we can't offer all the The Focus Group - Sketches and Spells tracks as individual flacs, as some of these tracks exceed the shops maximum (33.3333333333333mins) download length.